It’s a moment mothers adore – watching their daughter walk down the aisle. 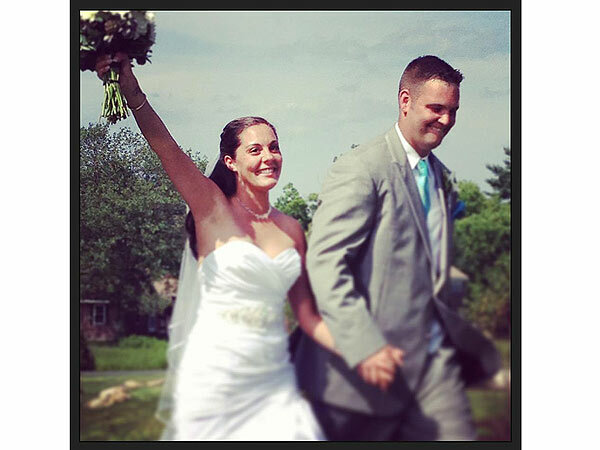 And Dawn Hochsprung was no different, eagerly awaiting her daughter Erica Lafferty’s wedding ceremony on July 6. But Dawn never got the chance to see that special moment, because she died in last year&apos;s tragic Sandy Hook school massacre in Newton, Connecticut. Dawn was the school’s principal and lost her life when the gunman opened fire in the school office. According to Erica, her heroic mother saw the killer and yelled, “Shooter, stay back!” She then lunged to grab his weapon and was shot dead. Tragically, Dawn had been tirelessly working to make the school safer for its pupils and had just installed a visual monitoring system and a protocol requiring visitors to wait outside until they could be signed in once the school doors locked at 9.30am. But her efforts were no match for the gunman, who shot his way through the glass doors with a rifle. 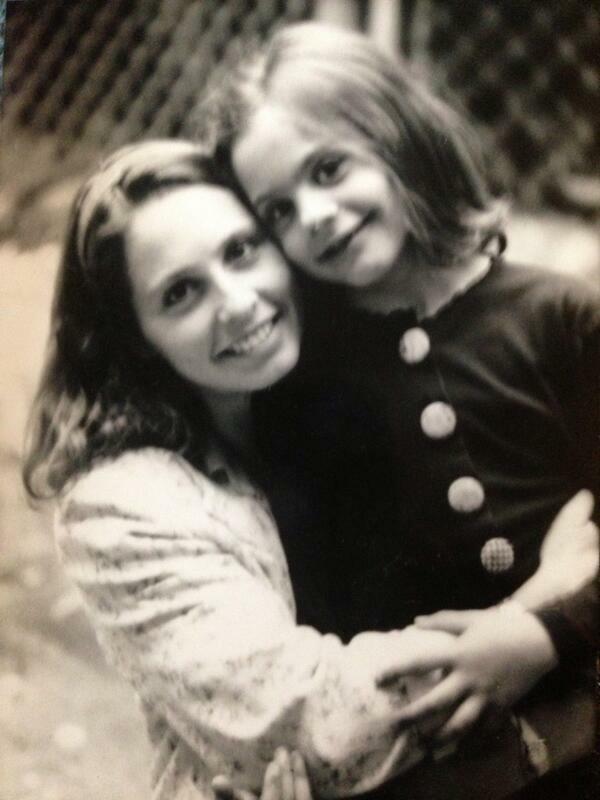 Erica as a child with her mother, Dawn. Six months on, in an emotional outdoor ceremony, Dawn’s youngest daughter has married her fiancé Christopher Smegielski at Dawn’s lakeside cottage. A few hours beforehand, Erica visited her mother&apos;s grave wearing her wedding dress. "We chose the gown together, and it’s being altered—I don’t know how I’m going to pick that dress up," she confessed to Glamour magazine a few months ago. "But if [Mum] taught us anything, it’s to wear your heart on your sleeve and hold your crap together." "I wanted to let her know how much I missed her," she tells People magazine of her motivation to visit her mum&apos;s grave that morning. "No daughter should ever have to do that on her wedding day … and I make sure she is always part of every day, like she always had been. "Never in a million years did I think I would be getting married without my mother there. Planning for my wedding was actually one of the last things my mom and I did together before she was killed." Erica now works with Mayors Against Illegal Guns, "to fight common-sense gun laws and join with others who&apos;ve lost loved ones," she adds. "I&apos;m using my voice to make sure that things change and ensure no one else has to experience one of the most important days of their life without their mother due to gun violence."